Intel® Solid-State Drive Data Center S3500 Series delivers next-generation performance to meet the growing storage needs of cloud computing. Deployment of Intel® SSDs in data centers increases multicore CPU utilization, reduces rack space, lowers power consumption and improves total cost of ownership. Based on Intel’s industry-leading 20nm NAND flash memory, the new SSD offers fast, consistent performance and stress-free protection in a cost- and power-efficient design. CLOUD COMPUTING EXPO, New York, June 11, 2013 — Intel Corporation today announced the Intel® Solid-State Drive DC S3500 Series, its latest solid-state drive (SSD) for data centers and cloud computing. Designed for read-intensive applications such as Web hosting, cloud computing and data center virtualization, the Intel DC S3500 Series is an ideal replacement for traditional hard disk drives (HDD), allowing data centers to save significant costs by moving toward an all-SSD storage model. Intel SSDs, including the Intel SSD DC S3500 Series, enable transformational improvements in cloud infrastructure, fostering new and enriching Web experiences. End customers experience quicker Web page loads and improved response times as a result of dramatically improved data access times and reduced latency. IT managers and cloud developers are rewarded with improved total cost of ownership as a result of reduced power consumption, more consistent performance and smaller space requirements. More than half of U.S. businesses now employ cloud computing applications, and IDC predicts that worldwide spending on cloud services will reach $44.2 billion this year1. Data centers powering these cloud applications need to quickly, efficiently and reliably scale to handle the tremendous growth of connected users and data traffic. In cloud computing and data center environments, fast and consistent performance, reduced power consumption, high multicore CPU utilization and stress-free data protection are important requirements. The Intel SSD DC S3500 Series offers enterprise IT and data center managers storage options that deliver increased IO performance, reliability and a lower total cost of ownership over traditional HDDs, ideal for cloud applications. By combining 20nm Intel® NAND Flash Memory technology with SATA 6 Gb/s interface support, the Intel SSD DC S3500 Series delivers sequential read speeds of up to 500 MB/s and sequential write speeds of up to 450 MB/s and a tight distribution of input/outputs per second with low maximum latencies. Random read performance can go up to 75,000 input-output operations per second. The new SSDs will be offered in capacities ranging from 80 gigabyte (GB) to 800GB and both 2.5 and 1.8 inch form factors. Available through Intel distributors and resellers, the Intel DC S3500 Series is offered at the suggested channel price of $115 for a 1.8-inch 80GB drive and $979 for a 2.5-inch 800GB drive. It is also accompanied by a 5-year warranty. The new DC S3550 Series, as well as a previously released data center family (Intel SSD DC S3700 Series and 910 Series), are being showcased in Intel’s booth (#519) at the Cloud Computing Expo. The event runs from June 10-13 at Jacob K. Javits Center in New York. 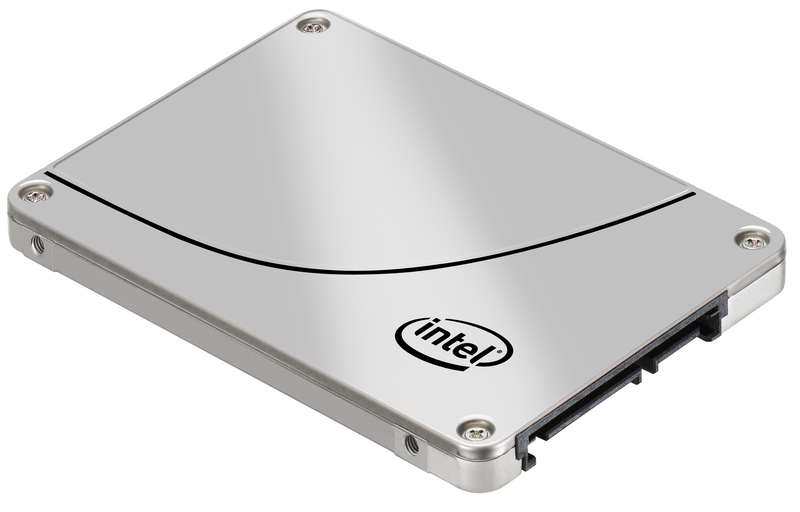 More information on Intel SSDs can be found at www.intel.com/go/ssd or by accessing the multimedia press kit at www.intel.com/newsroom/ssd. Follow Intel SSDs on Twitter: @intelssd, or communities.intel.com.